New Album 'Time Out' Available Now! We’re stoked to have our new website online! 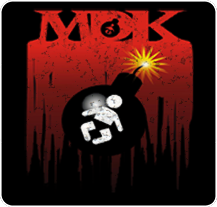 The new layout makes it easier for you to keep up with what’s happening with MDK and is fully compatible with all mobile devices. Thanks to Jason and the team at Two Monkeys Web Design. If you were a member of our previous site, please sign up again to make sure you receive updates via our new email system. Also be sure to take a listen to samples from the new album ‘Time Out’ on the Music Page.